For a donation (click on donations below) of $15 you will receive an autographed copy of Mai’s book with free shipping (within USA). 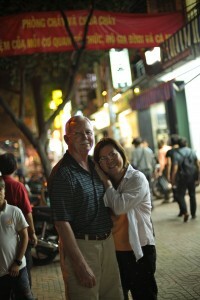 Your donation helps us take the Gospel to Vietnam to impact one life at a time for God’s glory. Mai Spencer, a poor Buddhist girl born and raised in Vietnam, experienced war in her homeland and witnessed the havoc it wreaked on her family and country, and nearly lost her life after being exposed to Agent Orange. In spite of all the heartache, there was a bright spot in the Vietnam War—she fell in love with an American soldier. After they married and moved to America, Mai found a sense of security in her new husband and life but just when Mai thought her broken heart was beginning to mend, another series of tragedies hit and left Mai with grieving soul and a deep longing. In desperation, she turned from the false god of her childhood and cried out to Jesus. 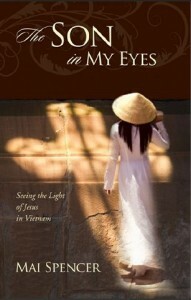 A miraculous transformation took place—Mai became a woman of destiny, called to return to Vietnam and build a church. An amazing testimony of tragedy and loss, forgiveness and triumph—this story speaks to broken-hearted and brings hope to the hopeless.